Investments made by employers in order to avoid workplace injuries usually pay large dividends. In the absence of these occurrences or at least, the high likelihood that they occur, there is usually an increase in output. Some of these efforts include training of employees on safe on-the-job habits, ensuring that the physical structure of the workplace is danger free and making sure that the working environment is more mentally stimulating than psychologically destructive. Unfortunately, many employers, either in the absence of foresight or by sheer negligence, fail to engage in making sure the workplace is safe. 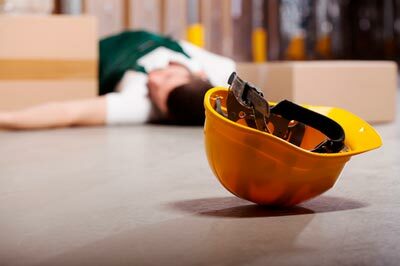 This has resulted on one hand in physical work injuries – to different degrees, and on the other hand, in the mental devastation of innocent employees, not to mention the massive financial losses that are incurred alongside. In order to ensure that justice is granted and the compensation needed to cover for all the pain and financial loss is won, it is of utmost necessity to get the service of a competent attorney who can work through the entirety of the case with you, advising you on all the legal ethics you need to be aware of and keeping you informed throughout the proceedings. Rawa Law Group’s work injury attorneys have won lots of popularity here in Santa Monica, having helped many victims of work injuries win the claims they deserve. You will not have to pay a dime for any service rendered until your case is won and your compensation is paid.